Surfers know how hard it is to find the perfect beach. And when they do find it, they soon come to realize that it’s probably not perfect and that, chances are, there is a better beach out there. That’s the thing with surfers, they’re always on the hunt for something better: a better beach, a better surfboard, or a better wave; and this constant hunt and desire for improvement is what makes surfers awesome. Going on surf camps is one way of pursuing a better beach or a better wave. Surf camps are fun, exciting, and you can always rely on them to provide great surf spots! If you need some inspiration in finding that better something, you’re in luck. Here are 10 surf camps that will surely bring happiness into your surfer life. Where: Taghazout is a small fishing village about 20 kilometers north of Agadir, Morocco. Since the Europeans came to Taghazout in the 1960s, it has developed into the surfing ‘Mecca’ of Morocco, with multiple world class waves within a stone’s throw of each other. Surf Berbere is placed 5 meters from the jump off point of Hash Point. What: This surf camp in Taghazout, Morocco offers 5 days of lessons, breakfast, packed lunches, and 3 course dinners, as well as 7 nights’ accommodation, and doorstep beach. Who: All Surf Berbere guides and instructors are qualified surf instructors that have gone through ASI assessment with Nick Thorn. They are locals who have all grown up surfing in the area of Taghazout. Where: Bursting with sunshine and known for its laid back lifestyle, the Western Algarve is the perfect holiday destination to unwind and recharge with some deserved rest and recuperation. Whether you achieve this by exploring the fantastic culture and unspoiled countryside, chilling out, and catching some waves at some of Europe’s most stunning beaches, or want to find adventure taking part in the endless outdoor activities on offer. The choice is yours! What: The organizers will provide all the equipment needed; you will have a kite surf instruction with a certified kite surf instructor, and a unique step by step program proven to get you up and riding as early as possible. Transport to one of the best kite surf spots to learn in Europe is provided, as well as 7 day breakfast, lunch, and 6 nights’ accommodation. 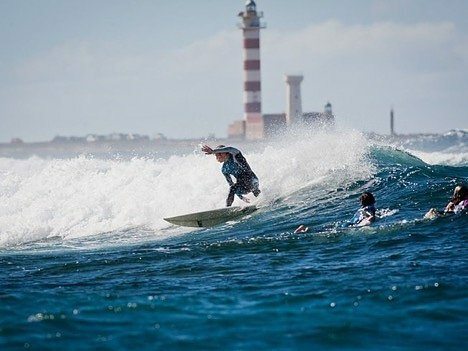 Who: Jah Shaka Surf are the leaders in Portugal and operate within the Algarve running a range of surfing and activity holiday packages. They have qualified and experienced instructors – VDWS or IKO certified, first aid, rescue life guards, and years of tuition experience. Where: The charming fishing village of El Cotillo is located in Fuerteventura Northwest, about 35 kilometers from Puerto del Rosario and about 20 kilometers from Corralejo. The picturesque town offers a tranquil and peaceful atmosphere with a delightful little town center and several authentic Canarian restaurants overlooking a beautiful old harbor. What: You’ll have an on-site surf team, 9 hours surf lessons, free use of surf equipment, daily breakfast, snacks, and dinner, 7 nights’ accommodation, an entertainment schedule, and beach transfer. And last but not least, there will be waves for all surf levels! 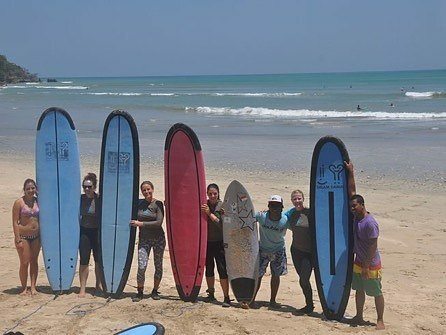 Who: Star Surf Camps offer first-class surf holidays by using the latest, high-quality surf equipment with international and passionate team that will provide you with fun and authentic surfing holidays. All Star Surf Camps’ surf instructors are experienced, fully licensed, qualified, and also have a life-guarding qualification. The surf instructors for this surf camp are Max and Michele. Where: Neptuno Surf Center lies on the south of Peniche, in a quiet and secluded area in the village of Consolacao. Peniche is a nice fishing village, nowadays motherland of some of the best surf in the world. What: You will have twice daily surf lessons, a video analysis session, breakfasts and welcome barbecue, a visit to a local shaper, 6 nights’ accommodation. Surfboards and wetsuits rentals are included in the price. Who: Neptuno Surfcenter offers accommodations and surf lessons for surfers from all over the world. All Neptuno Surfcenter’s instructors are qualified by the main international and Portuguese surf instructors’ federations. They speak English, French, Portuguese, and Italian. Where: Dreamsea Surf Camp France is located in one of the best camping spots in Moliets Les Cigales, only a five-minute by walk from the beach. What: You’ll get 10 hours of surf lessons, unlimited access to all the surf camp equipment and facilities, camp activities including volleyball, tennis, football and more, breakfast buffet, picnic lunch and dinner buffet, and 7 nights’ accommodation in tent. Who: Dreamsea Surf Camp creates a sustainable environment through the respect of nature, while encouraging physical activities, as they believe in a healthy lifestyle. All instructors have the surf instructor licenses, and most importantly, surfing is their biggest passion. Where: This surf camp will take place in Nyang Nyang, North Mentawai, Indonesia. What: This is a wonderful budget surf camp that offers 9 nights’ accommodation, speedboat transfer, long and short distance surf breaks, and three meals daily. Who: Go Hard or Go Home Surf, accompanied by friendly and assisting teams, have many years of experience in tourism field, especially for West Sumatran beauty spots. Where: Wavy Surf Camp is located in a plot in the Campsite of Sagres Orbitur, situated in a marvelous natural environment inside of the Natural Park of the southwest Alentejano and Costa Vicentina of the Algarve, south of Portugal. Sagres is the epicenter of surfing in the Algarve. Its location offers countless beaches where you can enjoy surfing 365 days of the year. What: You’ll get glamping tents, daily 2-hour surf lessons and various other activities, 7 nights’ accommodation, transfer to surf spot, and full boarding. Who: Wavy Surf Camp in Sagres Portugal, is more than a surf camp, it is a new lifestyle. Enjoy the simple life: sea, sun, and surf. A magic place plenty of daily adventures. Where: Santa Teresa is located in the Nicoya Peninsula, on the west coast of Costa Rica, very close to Malpas and some hours south from Nosara and the busy Tamarindo. Santa Teresa hosts a unique mix of Ticos (Costa Rican people) and immigrants from all around the world who have turned this place into a very special spot. What: You’ll get 5 yoga sessions, 3 surf lessons (including surfboard, suit, and hydration), transportation to the surf break during surf lessons, complimentary pick up and drop off at Tambor TMU Airport, complimentary breakfast at beachfront restaurant, coffee, Wi-Fi, and 6 nights’ accommodation. Who: Believe Surf and Yoga offers surf and yoga retreats that connect body, mind, and nature in the wonderful beaches of Costa Rica. All instructors are ISA and CPR certified and the surf classes are based on weather and sea conditions. Where: Mind Body Soul – Surf Bali women’s surf yoga retreat is located in Seminyak on the West coast of Bali. This tropical paradise is known as being one of the top surfing destinations in the world. Bali offers ideal surf conditions all year round for all level of surfers. It’s truly a surfer’s paradise. With beautiful coastlines, tropical warm waters year round and a variety of beach and reef breaks located around the island, there is always a wave to catch nearly every day. What: You’ll have Yoga classes, expert surf instructors, 10 hours semi-private surf lessons, 6 nights’ accommodation, and all meals are included in the price. Who: Mind Body Soul-Surf Bali offers boutique style retreats designed for women with a desire to refresh and explore in a beautiful and safe atmosphere. Gede Aryadi “Deduk” is a passionate surfer, professional surf coach, artist, surfboard shaper, and healer from Seminyak, Bali. Sarah Heider fell in love with Bali during a backpacking trip through Asia in 2002. Upon returning in 2006, she fulfilled her dream of learning how to surf, and met her husband, Deduk. Where: This is a secret Morocco surf holiday. You will receive a full week of coaching and guidance around consistent and varied surf spots in an undisturbed region away from the hustle and bustle of the more widely known surf areas. What: You’ll get a local surf guide, surfing video analysis, qualified surf lifeguard service, daily guiding to suitable surf spot and 7 nights’ accommodation. When: Arrival on Saturday November 12, 2016 or Saturday March 11, 2017.
Who: Newquay Surf School offers surfing, body board lessons, high and low tide coasteers and hire of equipment services. Cristina is the Community Manager of BookSurfCamps.com, a themed surf website offering a vast collection of surf camps and surf holidays. She is also a passionate traveler, cat aficionado and novice writer.